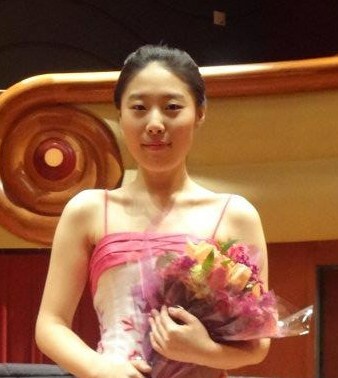 Congratulations to violin graduate student Hyunkyung Kim on being named one of the winners of the Philharmonic's 2014 Concerto Competition. A student of Professor Max Zorin, she is a first-year master's student in violin performance and also serves as a graduate teaching assistant. She will perform the third movement of Tchaikovsky's Violin Concerto in D major, Op.35 with the Philharmonic Orchestra on its March 2 concert. A native of Seoul, Korea, Hyunkyung studied with Sergiu Schwartz and received her B.M. degree in violin performance from the Schwob School of Music at Columbus State University (GA) in 2013. She performs with the University's Chamber and Philharmonic Orchestras, and the school's graduate string quartet. Most recently, she played at a masterclass with violinist Odin Rathnam.